Malibu Beach Recovery Centers is the West Coast’s leading destination for addiction treatment. We promote wellness and healing through our upscale programs and amenities in a safe and compassionate environment. 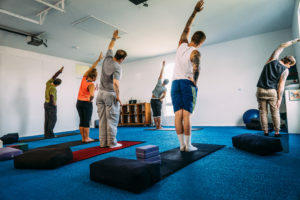 Recognizing each client as a unique individual with distinctive needs, Malibu Beach Recovery Centers provides a proprietary program that addresses every aspect of a person’s mind, body and spirit. From the initial evaluation and diagnosis, our professionals will guide you through every phase of your journey. Malibu Beach Recovery Centers places a strong emphasis on addressing co-occurring disorders and their linkage to addiction. Our board-certified medical professionals are trained to identify and treat mental health disorders such as depression, anxiety, stress and trauma-related illnesses that may be preventing one from achieving a lasting and full recovery. With a comprehensive continuum of care, including specialized programs specific to the needs of men and women, we are ready to help you restore your health, well-being and livelihood. Our exclusive treatment program, the Malibu Beach Recovery System, was designed to help chemically-dependent adults recover through holistic, scientific and clinical principles that repair the brain’s reward system. In addition to the traditional style of treatment — individual therapy, group therapy and the self-help philosophy — the Malibu Beach Recovery System includes an innovative methodology pioneered in Europe and adapted to American treatment. 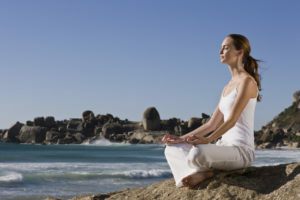 This holistic component includes the low glycemic Malibu Beach “Recovery Diet,” which raises chronically low dopamine levels through Kurma yoga breath work, and bio-active supplements. Our expert practitioners have proven that immersion in holistic therapies, in conjunction with traditional psychotherapy, creates a solid foundation for long-term rehabilitation. Our recovery program also includes residential treatment for pain medication abuse. Through acupuncture, Reiki, meditation and mindfulness, we help clients find relief for pain without the use of narcotics. These alternative pain management treatments have shown promising results in delivering more effective, longer lasting natural pain relief for acute or chronic pain sufferers. With expertise in traditional medicine, holistic medicine and chronic pain management, we’ve brought together a world-class team of board-certified physicians and licensed clinicians to provide compassionate, evidence-based care. The Malibu Beach Recovery System is uniquely designed to restore the body, mind and spirit, and uses the most advanced scientific research in synergy with the ancient wisdom of yoga and meditation. This powerful combination effectively gives patients a deep sense of serenity and well-being. While the effects of drug and alcohol addiction may be similar among men and women, the path to addiction tends to differ between genders. Separate programming allows men and women to stay focused on their own recovery progress, explore sensitive issues with peers in a safe and supportive environment, and strengthen their fellowship with others in recovery. Our residential program for men offers those in need the ability to engage issues distinctly their own. These can take the form of anger and aggression management, emotional isolation, false masculinity, relationship or sexual issues, mental illness and many others. Offering an ideal and discreet setting for recovery, our men’s residence is perched high on a hill overlooking the Pacific Ocean, where the air is pure and there is always a clear view of the southern skies. The house is intimate, luxurious and exclusive. Six clients share 6,500 square feet, where the atmosphere is warm and welcoming. Often, women who suffer from substance use disorder have a history of trauma, including interpersonal and childhood sexual abuse. Unhealthy relationships, domestic violence, eating disorders or childcare and custody may also serve as co-occurring environmental triggers that greatly influence women’s substance use, health status, help-seeking behavior and access to treatment. Our women’s residential program, a quintessential California residence located in the upscale West Los Angeles community of Brentwood, provides a discrete and compassionate haven for female patients to safely confront their trauma, regain their self-worth and heal from substance abuse.